Expandable, screen printed briefcase with main compartment. 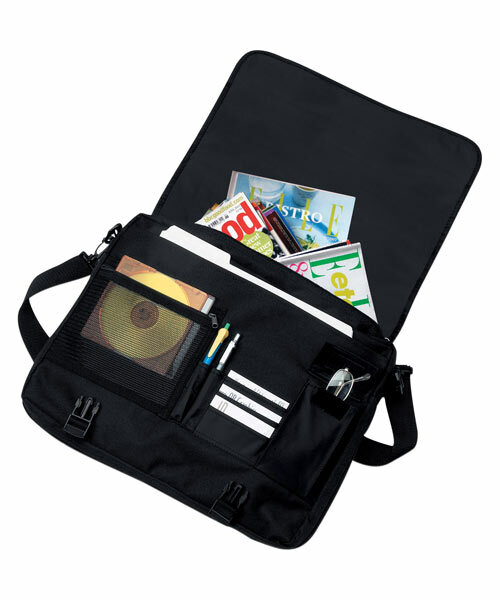 Personalize this deluxe organizer with a single color logo or custom design. 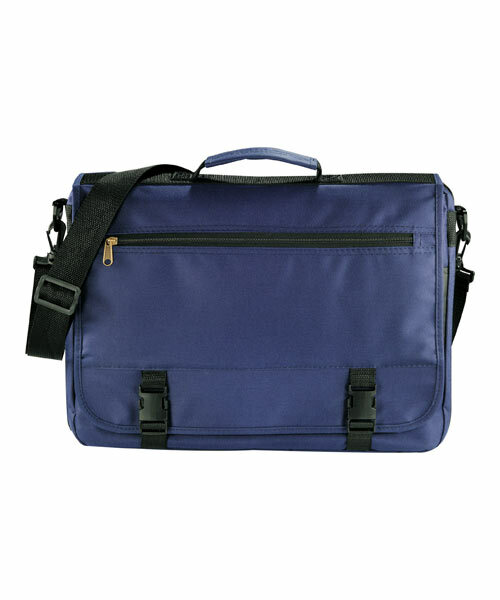 Includes multiple pockets and pen sleeves, front zippered pocket, padded top carry handle, detachable, adjustable 1-1/2" wide shoulder strap. 12-3/4" H x 16-1/4" W x 4" L bag with 7"W x 3-1/2"H imprint area. An alternative style is our Colorblock Briefcase. "Great Bag with Pockets and Sections for Everything!"